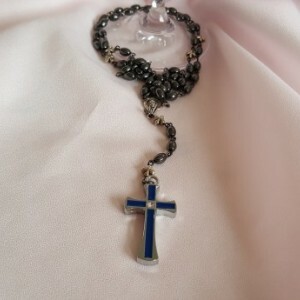 Catholic Rosaries for Communion and Confirmations. 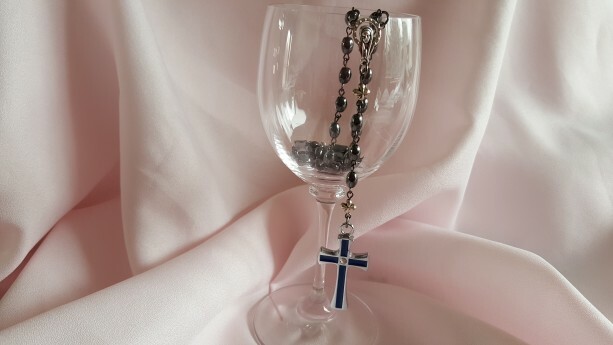 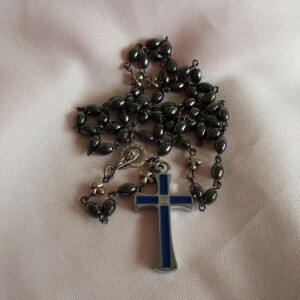 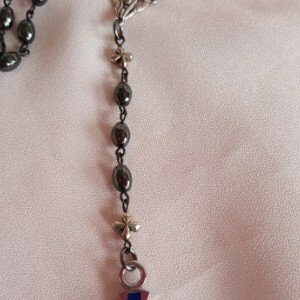 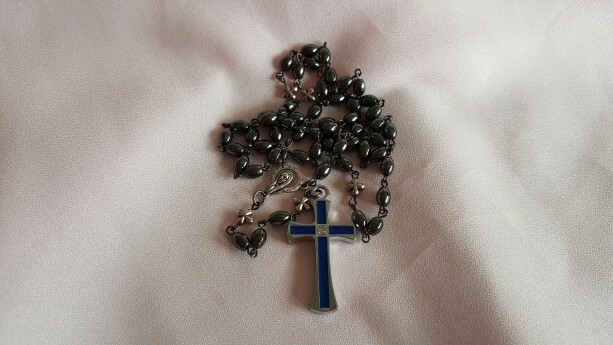 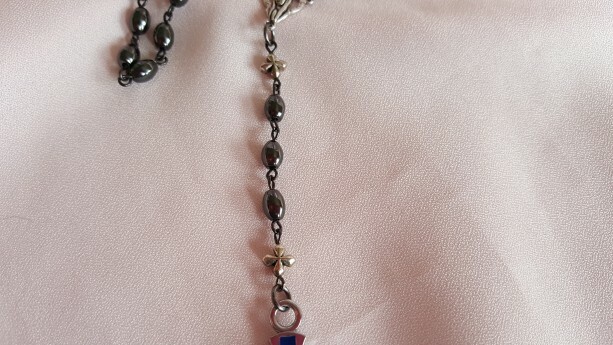 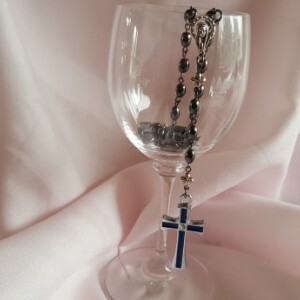 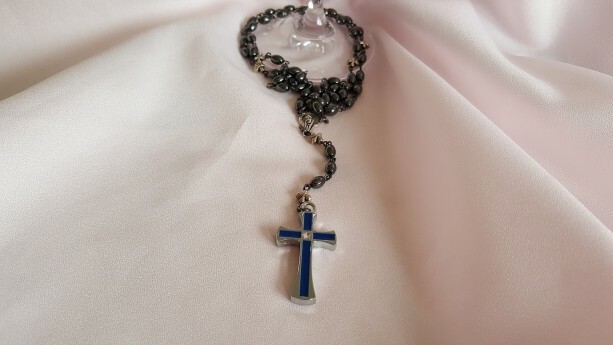 Made with oval shaped hematite with silver metal mini crosses for the spacers. 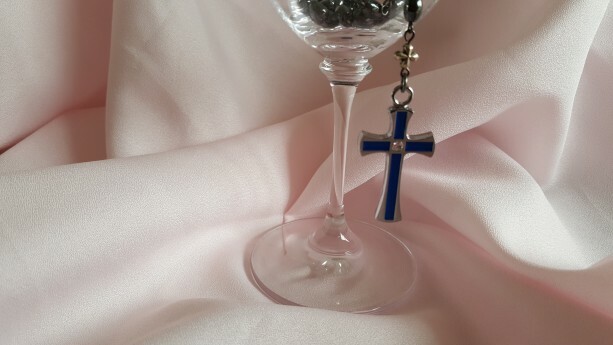 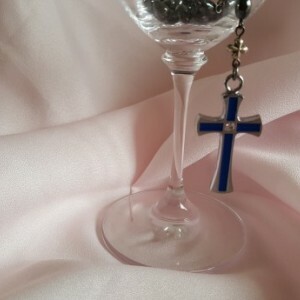 The cross is a blue enameled and metal with a center clear rhinestone.